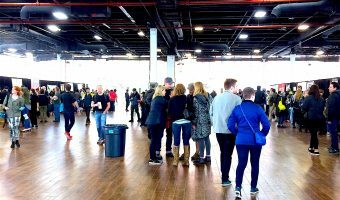 CHELSEA, NEW YORK — New York’s Largest Chocolate Expo ‘The Big Chocolate Show’ returned to New York City this weekend and there were more than a few reasons to go. This year the show was located at the Terminal Stores on 269 11th Avenue between 27th -28th streets, the former site of NYC’s famous nightclub “The Tunnel.” With its warehouse architecture and cavernous design, the Terminal was a good spot for The Big Chocolate show — a sweet event for chocolate lovers showcasing “the best of the best.” While many trade shows are closed to the general public, you can purchase relatively affordable tickets to The Big Chocolate Show. 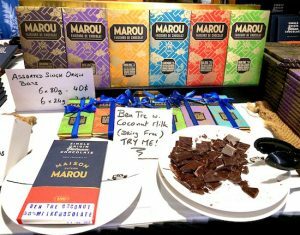 Featuring tasting classes, free samples, live demos, talks and workshops, the show is family friendly and kids are welcome to come and learn about the chocolate industry. 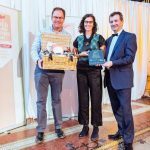 World renowned chocolatiers and top brands such as Jacques Torres, Valrhona, Pacari and FIKA were among those represented at the show, click here on their website for information on exhibitors and for additional details. Below are a few highlights from the show you definitely do not want to miss! 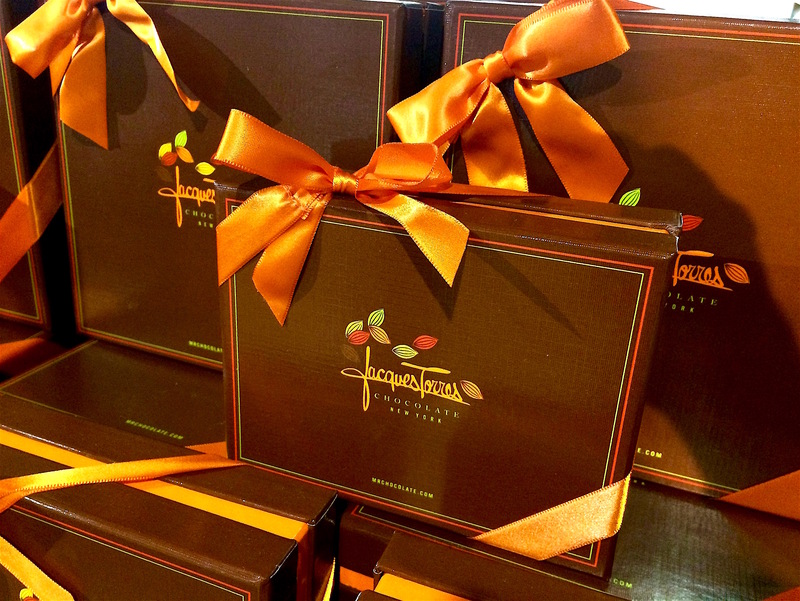 First stop – famous chocolatier Jacques Torres. 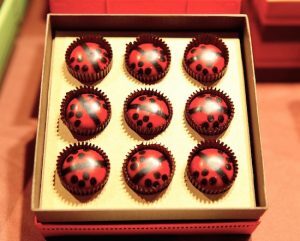 One of the most famous chocolatiers can be found as you enter the main space. The bright orange display & free samples were hard to miss. Don’t miss out on the chocolate chip cookies – they are for sale at the show & very delicious! 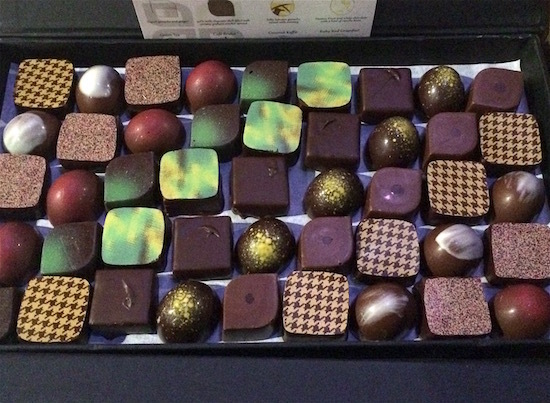 Next, off to Tumbador Chocolate, the ultimate foodie chocolate shop. 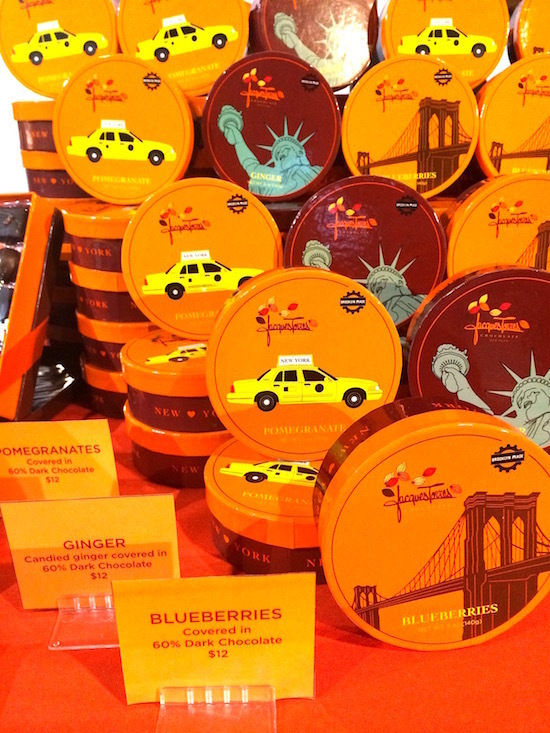 Tumbador’s brand is well-known for its private label chocolate and it’s local too, from Brooklyn. 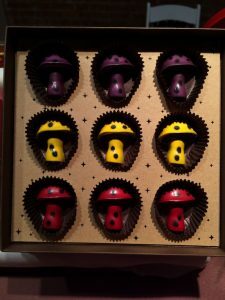 If you’ve never heard of Tumbadior chocolates, you’re definitely missing out but they are easy to find, visit their website here. 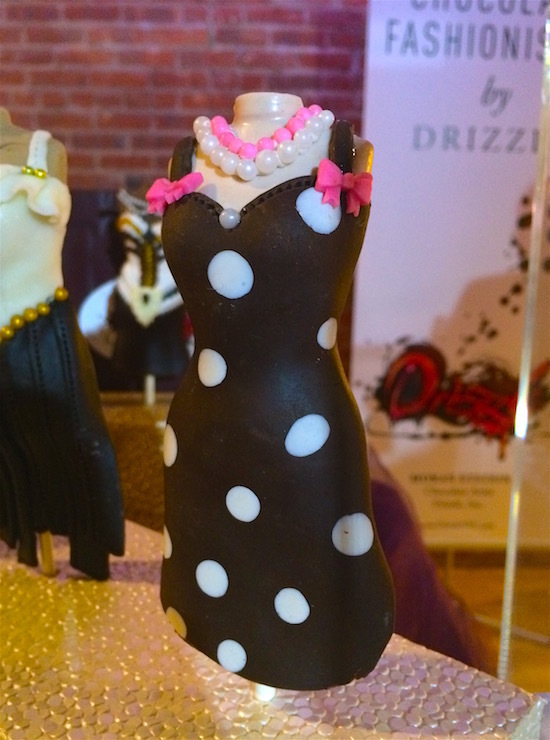 Next, check out the chocolate creations by Drizzle NYC. 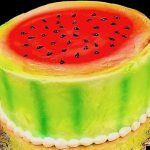 So beautifully done, I would not want to even consider trying to eat one. After that, I headed over to try a chocolate protein energy bar by K’UL. With 8 grams of protein plus caffeine, this energy artisan crafted bar by K’UL takes chocolate superfood to an even higher level. 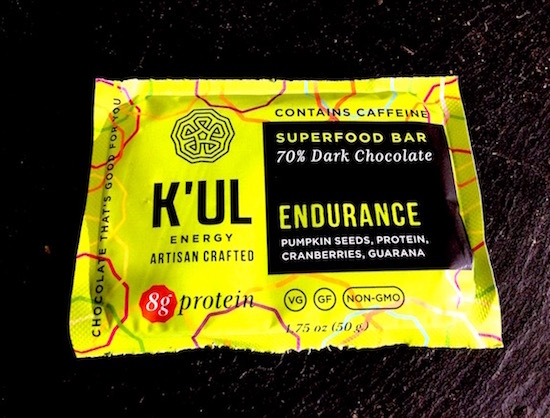 K’UL artisan crafted superfood chocolate bar with 8g of protein plus caffeine- Whoa! 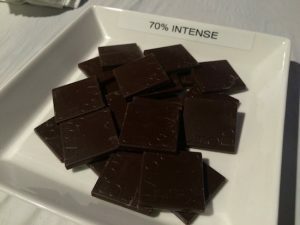 Some of the attendees of The Big Chocolate show told me they “expected bigger” but there were plenty of brands at the show. And the brands were very high quality ones – truly the best in the business. 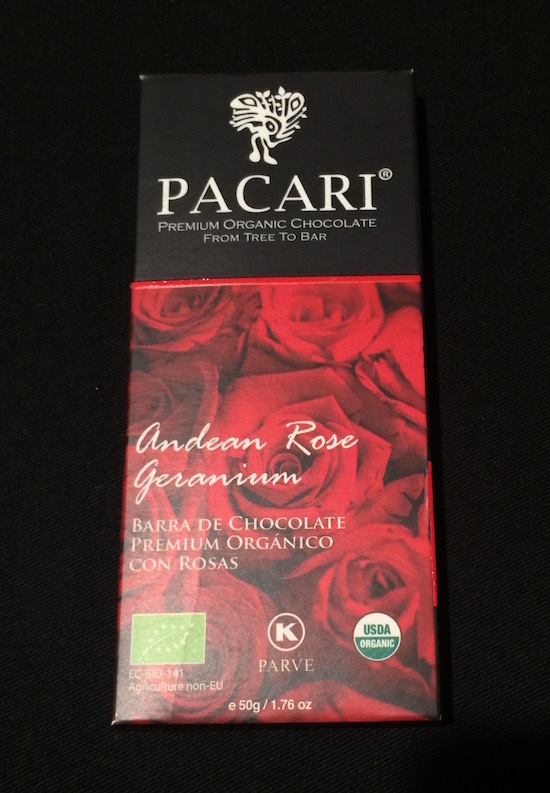 Chocolate was flown in from around the world, including some very excellent organic chocolate from Ecuador. 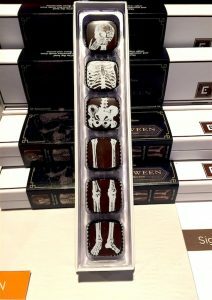 The Ecuadorian chocolate was pure, delicious & unique. 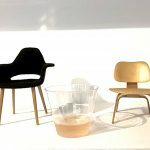 It brought to mind the subject of ‘terroir’ & indeed chocolate shares something in common with the wine industry – its place of origin can influence its flavor. 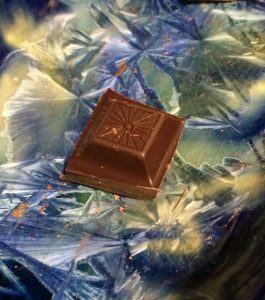 In fact, the geographical origin of cocoa beans can directly impact the flavor of your chocolate bar. 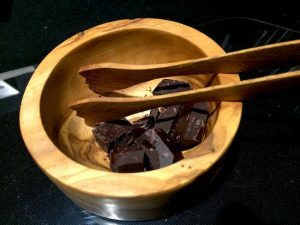 The chocolate industry has started to capitalize on this by producing artisanal & single origin couvertures (high quality chocolate) creating chocolate made with cocoa beans from one specific region or country. 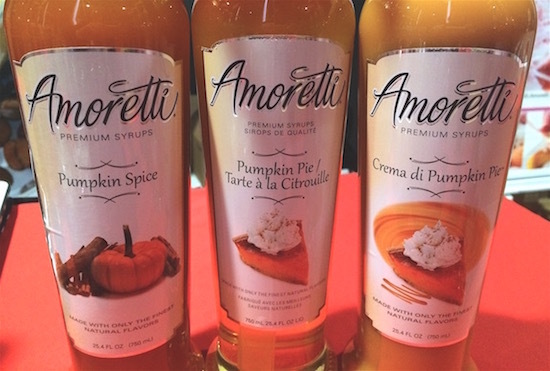 The Big Chocolate show also had a few seasonally geared products such as this collection of pumpkin flavored syrups by Amoretti. 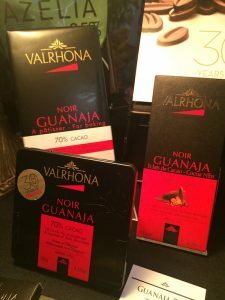 The Big Chocolate Show is great place to learn about the chocolate industry, hobnob with professionals in the chocolate industry and try (and if you like them buy) artisanal chocolate products. 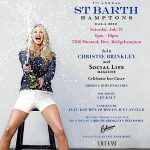 The event will finish up with the “FAVE” awards as judged by both those in the industry as well as the general public. All show attendees have an opportunity to electronically vote for their favorites during the show in various categories. FAVE award winners to be announced on Sunday October 9th at 6 p.m. 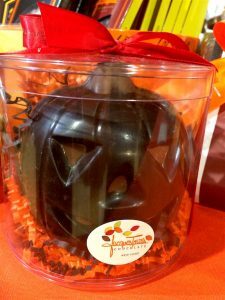 The Big Chocolate Show 2016 is open to the public October 8th Saturday and October 9th Sunday 9 a.m. – 1:30 p.m. and 2:30 p.m. to 7 p.m.